Gentlemen, Lend Me Your Ears! MP3, FLAC, AAC, lossly, lossless, 320kbps vs. 256kbps. These are terms that audioheads would know and the average person confused by. But they’re all part of a central question which concerns everyone who listens to digital music (that probably means everyone): Can you really tell the difference between high bit-rate and low bit-rate digital audio tracks? Two of our resident audiophiles take a crack at the answer. The ability to differentiate the differences in digital recording is more often due to training than outright hearing ability. I believe that the ability to differentiate the differences in audio recordings is more often due to training than outright hearing ability. And despite extensive evidence that our ears are not as sensitive and accurate as what we would like to think, a small group of people continue to believe they have golden ears. Unsurprisingly, these are the same people who insist that they must have their entire music library encoded in nothing less than FLAC (or insert anything of a lossless codec here) because anything of a poorer quality, as well as their (insert exorbitantly expensive, high-end audio brand name) equipment will reveal imperfections. An excellent example of what I mean by the above can usually be found on audio forums. For instance, I came across a thread where a user conducted a blind test, and concludes that he cannot accurately and repeatedly differentiate between a high-quality 320kps and a FLAC recording. Sure enough, another user later chimed in saying that with his high-end DAC, he can pretty much tell the difference around 90% of the time. MP3 encoders have come a long way since their beginnings and are now pretty efficient at compressing music while retaining most of the subtleties and nuances of the original recording. And there’s good social proof that for the most part, the general population is simply not capable of accurately differentiating a high-quality MP3 encoding from a poor one, much less being able to tell lossless from lossy encoding. Popular software developer and blogger Jeff Atwood recently conducted a test on his website where he asked readers to rank a number of tracks that were encoded in various bit rates – 128kbps CBR, 160kbps VBR, 192kbps VBR, 320kbps VBR, raw CD. In total, some 3,500 readers took part in his experiment. Jeff discovered that while readers could mostly determine that the 128kbps track sounded the worst, beyond that, readers could not accuarately determine the rest of the tracks. Website Noise Addicts conducted a similar experiment, but with only two tracks – one encoded at 128kbps and another at 320kbps. The results were surprising, as over 45,848 readers thought the 128kbps track was the higher quality encoded track as opposed to 41,671 readers who correctly picked the 320kpbs track. What do these tests show? Clearly most people who have a general interest in audio cannot accurately and repeated differentiate the quality of tracks. 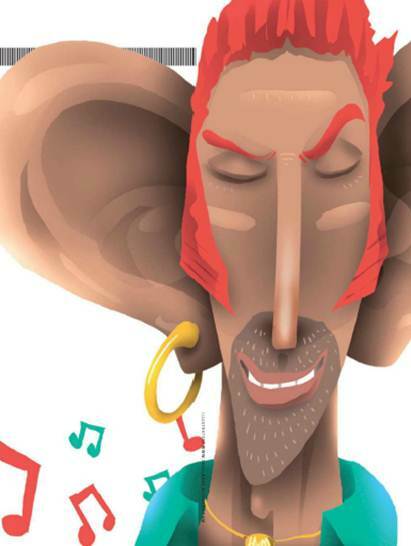 This can be partly attributed to the fact that as we age, our hearing deteriorates. The range of frequency of sounds that we can hear gets diminished with time. 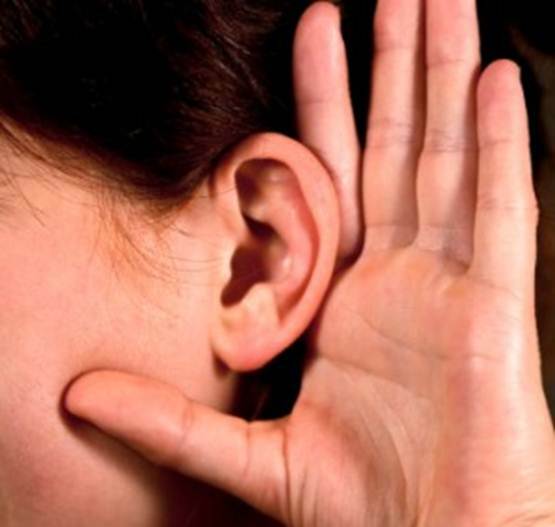 Therefore, more than anything else, the ability to discern the difference between recordings has more to do with training than actual outright hearing abilities. 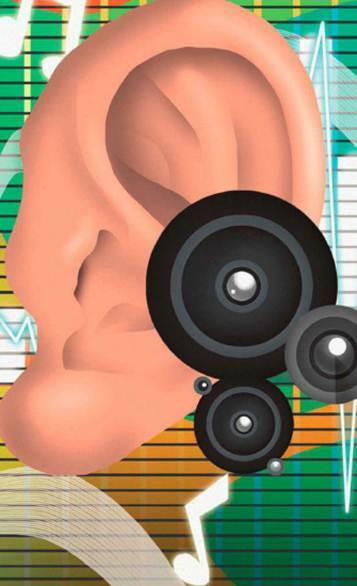 Everyone likes to think that their hearing is somehow better than the next person, but with the right training, the ear can be taught to recognize and notice details that would otherwise escape untrained listeners. The advent of digital audio has transformed how we perceive music. Some like it, some don’t. Today, purists continue to argue that analog recordings do sound better than digital alternatives. In truth though, most digital recordings are recorded in analog prior to their digitization via a DAC or digital-to-analog converter. But this isn’t really the point of contention with music enthusiasts. They’re unhappy with something else altogether: Data compression. Some proclaim compressed audio formats like MP3 or WMA are utter rubbish, whilst others can barely tell the difference between a compressed track and those on a CD. To that I’d say, let’s be objective, and also let us consider what each format was catered for. You wouldn’t compare the sound quality of a Roksan Caspian M2 to an iPod Nano, would you? To begin with, compressed files are popular and pervasive not because of their immaculate sound quality, but for their tiny footprint. In layman’s terms, compressed audio files are what you get when you discard bits beyond a human’s perceived hearing range, which falls between 20Hz and 20kHz. With data compression, however, audio quality is compromised substantially when bit-rates are traded for reduced file sizes. For example, original recordings might lose their crispness, tonality, clarity, and even spatial effects as the bit-rate dips well below 192kbps. A sampling rate of 320kbps is generally regarded as “almost CD-like quality”. Unaltered CD tracks, on the other hand, are typically encoded in a raw, uncompressed PCM (Pulse Code Modulation) format without involving “lossy” encoding techniques. It would, indeed, be unfair to compare compressed files to those on a compact disc, but let’s not be too quick to judge. Some people hear the disparities, some would argue otherwise. Some say there’s significant distortion at 128kbps, but others don’t. The bottom line is tackling the topic of audio fidelity is as subjective and controversial as skirting the issue of God’s existence. Audio fidelity is determined by a multitude of variables, starting with the quality of the recording itself. For example, poor samplings which omit frequencies within our hearing range are likely to sound “off” to a discerning ear. From here, how accurately sound is reproduced depends on the audio equipment used, which include your CD players, amplifiers, speakers, and electronics like DACs and DSPs (digital signal processor) among others. Room conditions, phasing, and the positioning of speakers are other conditions involved. The list goes on. Personally, I am comfortable with 192kbps MP3 for my daily commute. The presence of ambient noise, plus the regular media player and in-ear setup I use do not necessitate the need for huge lossless files. At any rate, one has to keep in mind the equipment and conditions involved. Unless you’re playing music for the masses, the only one you should set out to please, are your ears alone. App Attack : Help Me, My Smartphone!